Perfect for runnig a small travelling irrigator, solid irrigation system with small sprinklers, fire protection, construction and anywhere there is a need to move water. 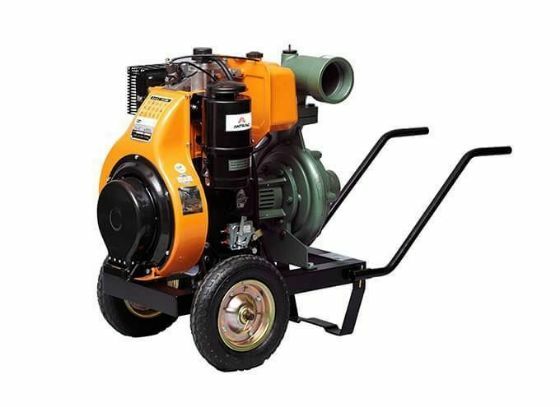 The Antor 4 LD 820 LY3 is a high performance and portable 17HP diesel engine driven Motopump unit. 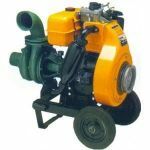 It is perfect for running a small travelling irrigator, solid sprinkler and drip irrigation applications, fire fighting and water transfer in construction sites. Also, the Antor 4 LD 820 LY3 is a great match with DuCaR impact and gear drive sprinklers. It can provide flow rates from 10 to 80 m3/h and pressures from 35 to 110 psi! It enables you to run a DuCaR IrriCruiser MIDI travelling irrigator or 8 - 10 DuCaR Atom 28 impact sprinklers at the same time. Or it is perfect for any other medium to high volume gear driven irrigaiton sprinklers.